The Kit Tigon Aspire offers us a return to the sources with this Vape Pen 23mm x 142mm with an operating direct voltage. 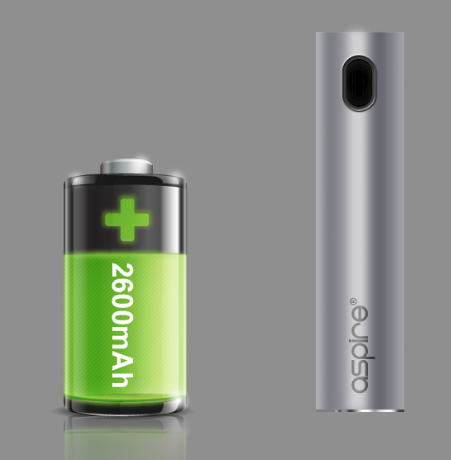 The Kit Tigon includes a battery of 2600mAh that will accept a fast charge at 2A. The filling of the Tigon is very simple : just lift up and then slide the top part towards the back so that it reveals the filling hole, which has a membrane that has the characteristic to prevent the leakage even when the atomizer is opened. The air flow system will be able to cover the different need of vape thanks to the possibility to get a draw in MTL or DL, which will be optimized with the use of one of the drip tips provided. Integrate the amazing performance in a design 2-in-1 beauty ? Impossible is not a Eleaf for his kit iStick Mix ! In a compact format with rounded edges for improved ergonomics, the enduring box iStick Mini dual batteries 18650 is adorned with two irresistible finishes : a panel in colored resin, the other with geometric print In Molding Label. Lightweight, discreet, but yet with a well-tempered character, the kit Etiny Plus V2 from Sigelei is an ideal material to start and enjoy a vape 100% realism. Composed of a battery, a compact 800mAh rechargeable quickly and a clearomizer reinforced Etiny V2 2ml, this complete kit Sigelei is built to follow you wherever you go.